Hello Everyone! I'm heading down the mountain today for my Redding class but wanted to share Week Three of my 12 Weeks of Christmas creation! ENJOY!!! Stamp snowflake randomly all over bag. Fold bag and adhere with Tear & Tape. Punch top edge of Call Me Clover panels with the Scalloped Tag Topper Punch. Adhere tags to front and back of bag with Tear & Tape. Stamp 6 penguins with Tuxedo Black ink; punch with Christmas Bulb Punch. Color hats and beaks with Stampin’ Blends Markers. Emboss Pool Party panel with Softly Falling Embossing Folder. Using liquid glue, adhere top penguin to embossed panel about 3/4" down from top of panel. Adhere middle row of penguins, making sure that you cover the punched bottom of the top penguin. 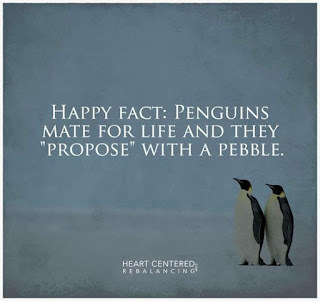 Adhere the bottom row of penguins. 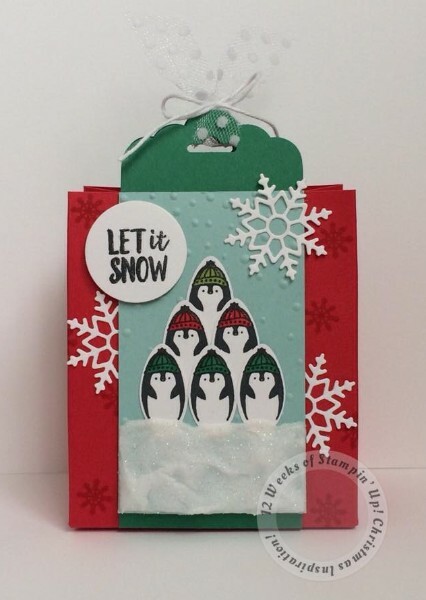 Apply Shimmery White Embossing Paste to bottom of penguin panel, creating a snow drift to cover bottom of penguins. Let dry completely. Adhere penguin panel to front of gift bag with Tear & Tape, aligning top of penguin panel with top of gift bag. Stamp sentiment onto Whisper White scrap with Tuxedo Black ink. Die cut with smallest Layering Circle Framelit. Using Alpine Sports Thinlits, die cut 2 snowflakes from Whisper White scraps. Cut one in half. Adhere to bag with Multipurpose Liquid Glue. Thread ribbon through tag and tie with Baker’s Twine. 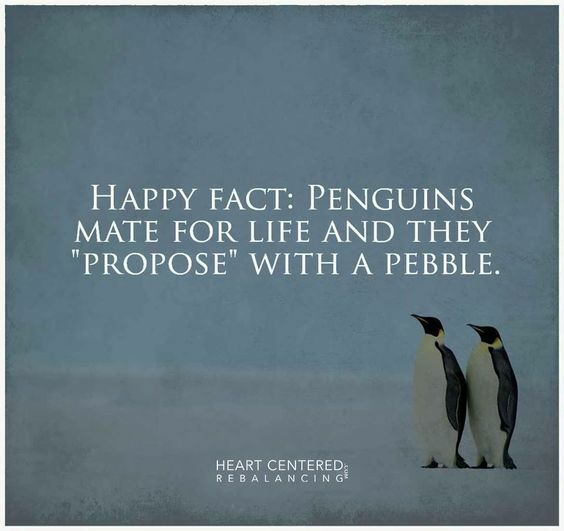 Add Clear Wink of Stella over sentiment and penguin hats. Well...that's it! SUPER FUN, QUICK and EASY project! I sure hope you are INSPIRED by these creations! It sure is fun bring them to you!!! Have a FANTASTIC DAY!!! Thanks BUNCHES for stopping by! !